Travel around the UK with Julia and solve the mystery of her grandfather's old diary! Travel around the UK with Julia and solve the mystery of her grandfather's old diary! 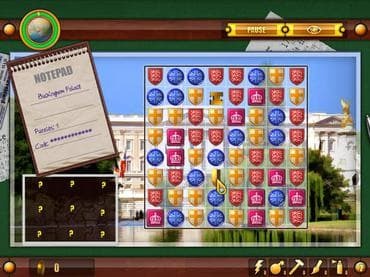 Download free full version pc game today and join Julia in her journey through amazing British cities and other places of interest in this fantastic Match 3 game. Free Game Features: - Family friendly puzzle game; - Amazing graphics and relaxing soundtrack; - Unique twist to the matching genre games; - Unique power-ups; - Save / Load game option; - Game statistics; - Free full version game without any limitations. If you have questions about Julia’s Quest: United Kingdom game, please contact us using this form.